Having been a Wolf Cub, Scout and Senior Scout, before becoming an Assistant Scout Master, Scout Master and a Group Scout Master, a role that he still holds in accordance with the requirements of the BBS; as well as undertaking various Commissioner roles. An extensive Scouting experience spanning 60 years plus, 52 years plus of this total in leadership, dedicated to serving the youngsters in this great movement within his own Scout Group, also Nationally and Internationally, in his attempts to fully give back and teach all the Scouting skills and great fun he has very appreciatively received from Scouting now passing this on for others to benefit. 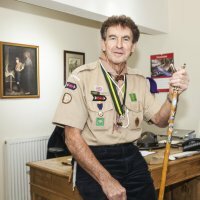 David is keen to promote the Scout Promise and the ten parts forming the Scout Law, the Christian basis for Scouting, and is true in his beliefs to the traditions of Scouting as B-P intended Scouting to be. David's most exceptional, outstanding and distinguished service and good work to the Scout Movement have been acknowledge by the presentation of firstly the 'Medal of Merit' and later the BBS 'Silver Wolf Award'. David holds the 'Long Service Award'. Also holding the BBS 'Wood Badge' to trainer level. David also was awarded the Red Cross 'Grand Proficiency Medal' during his membership of the British Red Cross. Having been a Cub, Scout, a Venture Scout, before becoming an Assistant Scout Leader, Scout Leader all whist a member of the Scout Association. Frustrated by the Scout Association he joined the BBS and formed a BBS Scout Group assuming the rank of Group Scout Master. 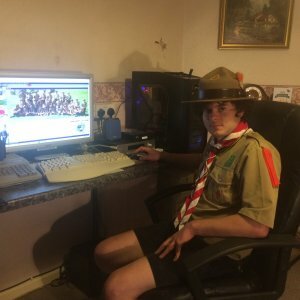 Since joining the BBS he has at last found in scouting what he has always wished for and believed the right direction for Scouting in the future. So as well as still being a Group Scout Master he is fulfilling his Commissioner role in accordance with the requirements of the BBS. 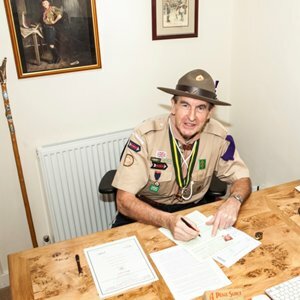 So with over 26 years of Scouting experience as a leader, trying to apply traditional Scouting to his previous programmes, he is now free to carryout and promote his much loved traditional Scouting that his Scout Group have adopted with open arms and given Paul great support and encouragement. 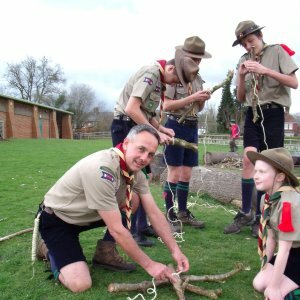 So his considerable experience of Scouting and having undertaken the task of starting and setting up a new Scout Group, he is in an ideal position to give advice and show in practice the great benefits that the youngsters gain and thoroughly enjoy from true traditional Scouting. Paul's most outstanding and distinguished service and good work to the Scout Movement have been acknowledge by the presentation of the 'Silver Acorn Award' acknowledged by the BBS. Paul holds the 'Long service award'. Paul also holds the BBS 'Wood Badge' leader trainer award. 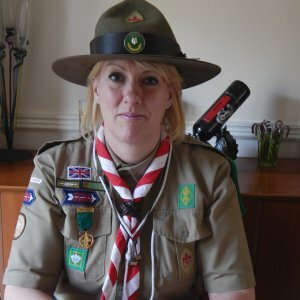 Having been a Brownie, then a Girl Guide, then having the opportunity to join the Scouts became a Senior Scout; on reaching the age of 18 years became an Assistant Scout Master, this being followed with becoming a Lady Beaver master and then a Lady Wolf Cub Master a positions that she still holds as well as a Commissioner role in accordance with the requirement of the BBS. 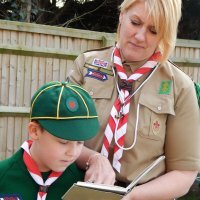 Karen has over 20 years experience as a leader in both the Beavers and Wolf Cubs sections and has accumulated a great amount of knowledge and skills gained that can be applied to these section and passed onto those running or starting these sections. For Karen's many years of dedicated service and especially good work of an outstanding character for the Scout Movement, she has been awarded the 'Medal of Merit'. Karen holds the 'Long Service Award'. Karen also holds the BBS 'Wood Badge' leader training award. Steve originally joined the Boys Brigade in which he remained a member for four years. Then he joined the Scouts, in which he has held the rank of Assistant Scout Leader, Scout Leader, County (Scouting) Skills Instructor whilst in the Scout Association, still maintaining his membership of the Scout Fellowship. Seeking a strong desire to carryout traditional Scouting, particularly with the established and well respected training programme and the smartness of the traditional Scout uniform. Steve joined the BBS and formed his own Senior Scout Troop that he intends to extend to cover all sections finally. So, now as the Group Scout Master of his current Scout Group he has with great enthusiasm also taken on the role of Senior Scout Commissioner and thereby according to the requirements of the BBS in this regard. 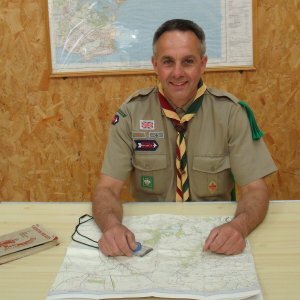 So with over 20 years leadership experience, and a wide range of specialist and qualified instructor skills that would benefit his role with the Senior Scouts, such as canoeing, paragliding, pilot, power boating, etc. he is clearly the Scouter for the Commissioner role and a great benefit for the BBS Association's Senior Scouts. Steve holds the 'Long Service Award' and also holds the 'Wood Badge' leader training award. David was involved in the South African Scout Association as a Troop Scout Leader in the Kanonkop District - Cape Town, which follows a very active and outdoor programme. 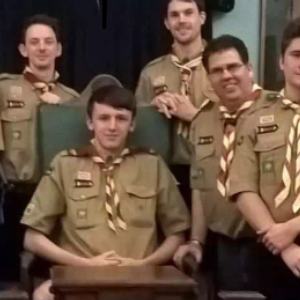 The District was concerned with the lack of Senior Scouts not joining the Rover Scout Section, so David was tasked in the formation with fellow District Scouters to form Kanonkop Rover Crew in Cape Town assuming the role as Rover Advisor in the Crew for two years before immigrating to the United Kingdom in 2006. It was by pure coincidence that upon meeting 'Skip' (Paul Stevens) he so desired to be back in the fold and camaraderie of Scouting and with the BBS/BGS in having such a smart uniform and structured Scouting programme, which was very much similar to SASA. 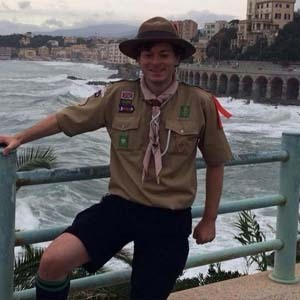 He so pursued and obtained his Warrant to continue in the 'Brotherhood of Service' for Rovers with British Boy Scouts after he had joined the Association in the latter part of 2015. David was instrumental in the formation of the 'Knights of St Swithun's' and upon the resignation of Simon Morley, was appointed as successor and assumed the role of National Rover Commissioner as from 2018. Starting as a Beaver, Cub, Scout, and a Venture before becoming an Assistant Cub Leader in the Scout Association, and then an Assistant Scout Master in the B-PSA, Trevor then joined the BBS as an Assistant Scout Master and Assistant Cub Master. 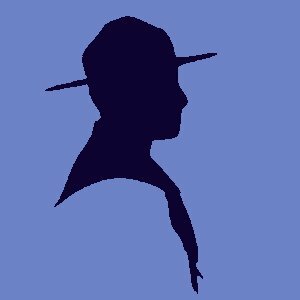 He holds the 'Medal of Merit' and the 'Wood Badge'. Trevor is an IT professional in the education sector and is experienced in web development, programming, and Windows networking. He is also a 5th Dan black belt in karate. 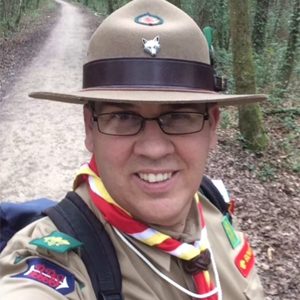 It should be noted that the BBS requires that all Commissioners are associated with a Scout Group, we have no free ranging Commissioners and this ensure that all Commissioners are well versed with the grass roots of the association as well as providing an extra safeguard for reinforcing our Child Protection Policies.